Simply study the fun and interactive on line class. Getting your traffic violation dismissed by the court and keeping your insurance low have never been easier! 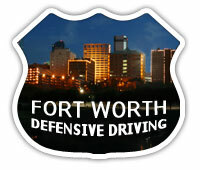 Our on line Defensive Driving class is the perfect medicine to cure your speeding ticket blues. It's priced as low as allowed by TX law, convenient, and most of all, State Approved!